RT / BATTLE FOR WORLD – October 18, 2018: The article highlights that Western provocation, the prospect of WWIII, and China’s closer stance with Russia are just some of the topics that Foreign Minister Sergey Lavrov has spoken about with RT France. And that Russia: We will be ready for larger-scale provocations too. But our answer is very simple – if they talk to us through the media, we will respond through the media too, but specifically and in a correct manner,” Lavrov said, answering questions from RT France, Paris Match and Le Figaro. Going further, the foreign minister said a third world war is an unimaginable scenario, noting that “everybody would be sane enough not to let it happen.” However, an aggravating factor is the absence of any dialogue between the Russian military and NATO. SPUTNIK NEWS / BATTLE FOR WORLD – October 26, 2018: The article highlights that Russian diplomat Andrei Belousov confirmed Friday (October 26) that Russia is preparing to defend its territory against any aggression, while the US’ unilateral withdrawal from INF Treaty signals that Washington is preparing such an aggression. Andrei Belousov, deputy director of the Russian Foreign Ministry’s Department of Nonproliferation and Arms Control, commented on the US’ unilateral withdrawal from the INF Treaty, saying that the US is “preparing a war,” and that Russia has to get ready to defend its territory, principles and values. “Recently at the meeting [of the committee], the US has stated and that Russia is preparing for war. Yes, Russia is preparing for war, I can confirm it,” said Belousov, after the failed UN First Committee vote on Russia’s resolution in support of the INF. 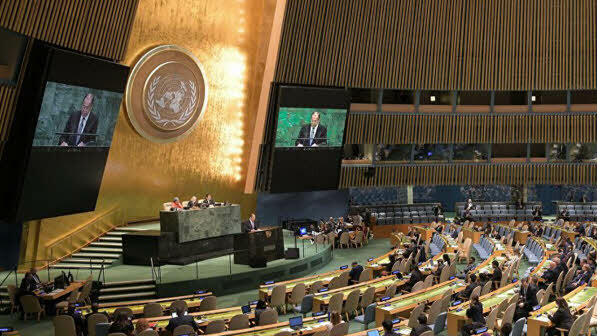 “If the United States comes out of the treaty and starts building up its nuclear potential in an uncontrolled manner, we will face another reality,” he said, further adding that the procedural issues the UN focused on in recent days will seem insignificant. RT / BATTLE FOR WORLD – October 20, 2018: The article highlights that nearly half of US military troops believe America will be drawn into a major war next year and see Moscow and Beijing as main threats, according to a recent poll. But is there any basis for this anxiety among soldiers? Almost a half of soldiers and commanders in the US Armed Forces (46%) believe that their country will be drawn into a large-scale armed conflict in 2019, reveals a new Military Times’ poll of active-duty troops. They didn’t clarify though what kind of war with Russia they expect. And that the US military didn’t mention the three most important things that play a major part in any war: goals, methods/ways of achieving those goals, and means. Basically, they think that the war is imminent, but they don’t know what kind of war it will be. SPUTNIK NEWS / BATTLE FOR WORLD – October 21, 2018: The article highlights that the United States decision to leave INF under the pretext of alleged Russian violations of the Intermediate-Range Nuclear Forces Treaty (INF) was condemned by Russian Lawmakers. On Saturday (October 21), US President Donald Trump announced the country’s withdrawal from the INF treaty over the alleged Russian violations of the agreement. 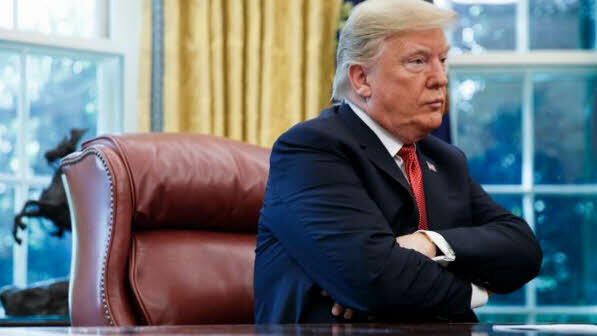 “US President Donald Trump’s decision to leave the Intermediate-Range Nuclear Forces Treaty is not surprising to us but we hoped that the common sense would prevail. It is obvious that the United States has no evidence proving Russia’s violations of the treaty’s provisions,” a member of the Russian parliament’s upper house’s defense committee, Frants Klintsevich, told Sputnik. “Trump announced the US withdrawal from the 1987 Intermediate-Range Nuclear Forces Treaty. If the United States withdraws [from the INF Treaty], that will be the second major blow to the whole global system of strategic stability. The first blow was the US [decision on] exit from the ABM Treaty in 2001. Once again the United States is an initiator of the treaty’s denouncement,” Pushkov wrote on his Twitter page. THE WASHINGTON TIMES / BATTLE FOR WORLD – October 21, 2018: The article highlights that Britain’s defense secretary Gavin Williamson says his country stands “absolutely resolute” with the United States as President Donald Trump says he’ll pull out from a landmark arms control agreement with Russia. RT / BATTLE FOR WORLD – October 26, 2018: The article highlights that Trump has been tearing up treaties since taking office, from halting negotiations on the TPP to NAFTA, but his latest threat to pull out of the nuclear deal, negotiated by President Reagan in the 80s, may be his biggest mistake critics warned. 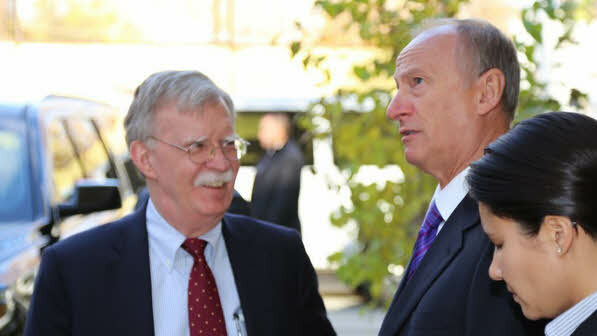 In the mean time, while US President Donald Trump and his National Security Advisor, the neoconservative firebrand John Bolton, justify their threat by accusing Russia of violating the Intermediate Nuclear Forces (INF) Treaty, the reality is that it has largely been the US that has been the aggressor through the terrifying and costly decades of the Cold War that this latest treaty exit action threatens to re-ignite. For many years, the US has kept huge numbers of both tactical (generally relatively small) and strategic (much larger) nuclear warheads overseas. According to a review of documents by the National Security Archive, published in updated form in 2006, from the early 1950s through the early 1990s — a period of four decades of Cold War — the US kept up to 13,000 nuclear weapons overseas, some at US bases, some in the joint possession of European NATO allies like Belgium, Italy, and Germany. 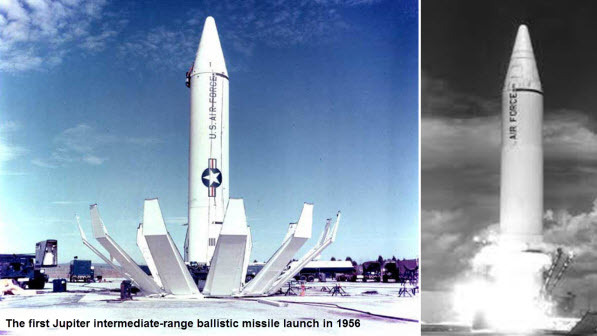 The article continues, the Jupiter was the US’s first so-called intermediate-range ballistic missile (IRBM), able to carry a 1.1 megaton thermonuclear bomb 1500 miles (2400 kilometers), entering on a ballistic arc at a speed of 10,000 mph. The missiles remained in both countries under US Air Force command until 1963, when they were removed under a secret (from Americans!) agreement to resolve the so-called Cuban Missile Crisis (the one time the Soviet Union attempted during the Cold War era to put IRBMs near US shores). The removal of the intermediate missile threats against the USSR didn’t mean the US was backing off of its aggressive Cold War stance of basing nuclear missiles just a few minutes’ flight from Soviet major cities. Beginning in the year 1979 and through 1992, the US deployed some 108 Pershing missiles with a range of 1100 miles (1770 km) carrying a 50 kiloton bomb in a variable-entry warhead, as well as another 464 ground-launched Gryphons, a type of cruise missile with a range of 1600 miles (2500 km) carrying a 150 kiloton warhead. RT / BATTLE FOR WORLD – October 24, 2018: The article highlights that NATO chief Jens Stoltenberg said Wednesday (October 24) he did not see the alliance’s member states deploying more nuclear weapons in Europe as a response to “the new Russian missile,” reported by AFP. 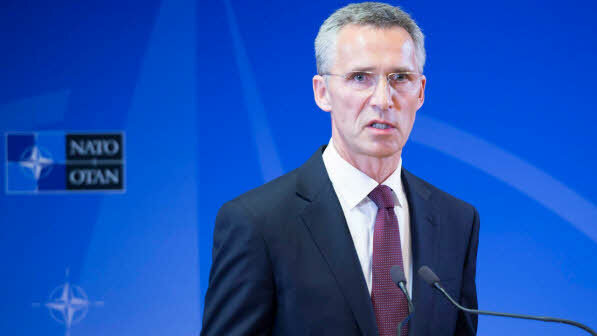 Stoltenberg was speaking after US President Donald Trump said Monday (October 22) he was ready to build up the US nuclear arsenal in response to “Russia’s new missile program.” Trump also announced on Saturday (October 20), that the US was pulling out of the Intermediate-Range Nuclear Forces Treaty (INF). YAHOO / BATTLE FOR WORLD – October 24, 2018: The article highlights that President Vladimir Putin said on Wednesday (October 24) that Russia would be forced to target any European countries that agreed to host U.S. nuclear missiles following Washington’s withdrawal from a landmark Cold war-era arms control treaty. SPUTNIK NEWS / BATTLE FOR WORLD – October 22, 2018: The article highlights that the United States of American will continue to develop its nuclear weapon stockpile, the US president told reporters Monday (October 22), until nations around the world come to their senses. The threat was directed at China and Russia, the president emphasized. Trump did not elaborate what it would take for China and Russia to show they’d “come to their senses” regarding the development of nuclear weapons. RT / BATTLE FOR WORLD – October 22, 2018: The article highlights that the two officials (Russian Foreign Minister Sergey Lavrov and US National Security Advisor John Bolton) met in Moscow on Monday (October 22), where Bolton arrived shortly after the US President Donald Trump announced his desire to withdraw from the Intermediate-Range Nuclear Forces Treaty (INF) treaty. If Trump goes ahead with pulling the US out of the INF, said the article, that will leave only one remaining pillar in the arms control architecture, the START Treaty limiting the deployment of all types of nuclear weapons. START is due to expire in 2021. RT / BATTLE FOR WORLD – October 24, 2018: Merriam-Webster: a national policy of treating the whole world as a proper sphere for political influence. RT / BATTLE FOR WORLD – October 23, 2018: The article highlights that at the meeting with US national security adviser John Bolton in Moscow, Russian President Vladimir Putin made a comment about Washington’s hostility that went right over the hawkish diplomat’s head. 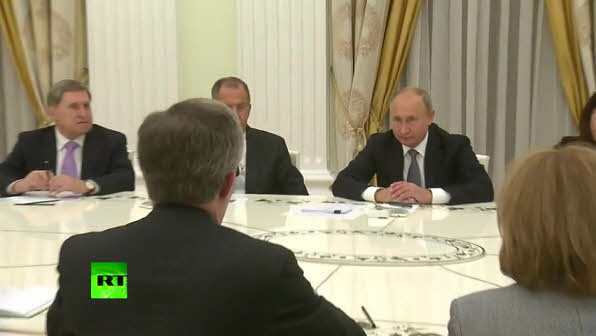 “As far as I remember, the US coat of arms features a bald eagle that holds 13 arrows in one talon and an olive branch in another, which is a symbol of a peace-loving policy,” Putin said to Bolton at the meeting in Moscow on Tuesday (October 23). “But I didn’t bring any more olives,” said Bolton. RT / BATTLE FOR WORLD – October 21, 2018: The article highlights that former Soviet leader Mikhail Gorbachev, who signed the INF treaty with then-US President Ronald Reagan, says Washington’s move to withdraw from it is a “mistake” and “a narrow-minded” decision. Giving his take on President Donald Trump’s ambitious plan to scrap the historic Intermediate-Range Nuclear Forces Treaty (INF), one of the “fathers” of the accord berated the current US leader. “It’s completely unacceptable to break the old treaties on disarmament,” Gorbachev told Interfax. SPUTNIK NEWS / BATTLE FOR WORLD – October 21, 2018: The article highlights that on Saturday (October 21), US President Donald Trump announced the country’s plans to exit the Intermediate-Range Nuclear Forces Treaty (INF) treaty over alleged Russian violations of the agreement. If the US continues to withdraw unilaterally from agreements, then Russia will adopt a range of retaliatory measures, including military ones, Russian Deputy Foreign Minister Sergei Ryabkov told Sputnik. “We are treating with concern and condemnation the United States’ new attempts to force Russia to make concessions in the sphere of international security and strategic stability via blackmailing. The Russian side has repeatedly said that the US side has no reasons for accusing Russia of allegedly violating this treaty. After all these years, they have failed to substantiate their fanciful claims by clear explanations why they are doing this,” Ryabkov said. And “We are counting on obtaining clear explanations from him regarding the nature of the United States’ intentions and further steps [regarding the treaty],” Ryabkov said. RT / BATTLE FOR WORLD – October 21, 2018: The article highlights that if the US ditches the Intermediate-Range Nuclear Forces Treaty (INF), it could collapse the entire nuclear non-proliferation system, and bring nuclear war even closer, Russian officials warn. By ending the INF, Washington risks creating a domino effect which could endanger other landmark deals like the Strategic Arms Reduction Treaty (START) and collapse the existing non-proliferation mechanism as we know it, senior lawmaker Konstantin Kosachev said on Sunday (October 21). SPUTNIK NEWS / BATTLE FOR WORLD – October 20, 2018: The article highlights that viral warfare and robots killing humans – this is a potentially “deeply frightening future” where combat ethics will be tested, the commander of HMS Queen Elizabeth, Captain Jerry Kyd, said. SPUTNIK NEWS – August 29, 2018: If China’s refurbished Liaoning aircraft carrier makes a voyage encircling Taiwan, leaders in Taipei should consider responding by conducting a simulated attack on the carrier, according to the former US director of national intelligence. If the carrier sails around Taiwan, “Taiwanese forces should take advantage of its presence to conduct simulated attacks against the Liaoning, raising their own readiness and demonstrating the reality that the Liaoning is vulnerable under wartime conditions,” ret. US Navy Adm. Dennis Blair wrote in an August 22 post for Sasakawa Peace Foundation USA. TASS – August 28, 2018: The article highlights that these military exercises are meant “to cool down some hotheads”, Frants Klintsevich stated. Large-scale strategic drills Vostok-2018 will serve as a response to unfriendly US policy concerning Russia. These military exercises are meant “to cool down some hotheads”, First Deputy Chairman of the Defense and Security Committee of Russia’s Federation Council (upper house of parliament) Frants Klintsevich stated on Tuesday. “The main goal of these grand military drills, the most large-scale ones since 1981, is to check the operational readiness of the Russian Armed Forces,” he told journalists. According to him, “such a check-up will be quite handy in the context of a very difficult situation in the world.” “First and foremost, I mean the unprecedented pressure that the US is exerting on Russia,” he noted. “The 1981 drills, which I had the opportunity to participate in, cooled down some hotheads in their time. Now the upcoming Vostok-2018 drills will fulfill the same role,” the senator continued. SPUTNIK NEWS / BATTLE FOR WORLD – October 26, 2018: The article highlights that Russia introduced a draft resolution aimed to preserve the Intermediate-Range Nuclear Forces Treaty to the UN General Assembly First Committee after the US announced a unilateral withdrawal from the pact, but the proposed draft resolution to the committee by Russia was voted against by the US delegation who protested. On Friday (October 26), the committee voted on whether the resolution draft should be reviewed. Does the Deep State Have President Trump Cornered? SPUTNIK NEWS – August 10, 2018: The article highlights that Russia’s Prime Minister Dmitry Medvedev warned the United States on Friday (August 10) that sanctions it plans to impose in August over the ex-spy poisoning might be treated as a declaration of economic war. Russian Prime Minister said that if some sort of ban on banking activities or currency ban was imposed on Russia — it would mean a declaration of economic war. SPUTNIK NEWS – August 12, 2018: The article highlights that the US dollar is becoming an unreliable tool for payments in international trade, Russian Finance Minister Anton Siluanov stated in an interview. The minister did not rule out the possibility to use national currencies instead of the dollar in oil trade. “I do not rule it out. We have significantly reduced our investment in US assets. In fact, the dollar, which is considered to be the international currency, becomes a risky tool for payments,” he noted. Siluanov also pointed out that the government has no plans to shut American companies in Russia. “Currently, we do not plan any restrictive measures or closures, for example, to close McDonald’s, as these companies employ our citizens,” he said. The minister’s statements come amid controversy around the dollar caused by a major financial spat between the US and Turkey. HUFFPOST – August 10, 2018: The article highlights that Alexandria Ocasio-Cortez argued Wednesday (August 8) that Congress seems to have no money when it comes to paying for “Medicare for all” but plenty to support “unlimited war” and tax cuts for billionaires. EXPRESS – August 10, 2018: The article highlights that the Chinese military told a US Navy plane flying over the highly-disputed island in the South China Sea to “leave immediately”. Each time the aircraft was challenged by the Chinese military, the US Navy crew’s response was the same: The repsonse was: “I am a sovereign immune United States naval aircraft conducting lawful military activities beyond the national airspace of any coastal state. TASS – August 24, 2018: The article highlights that now Russia has to draw its own ‘red lines, according to Vladimir Gutenev. The US policy of putting pressure on Russia has crossed the “red line,” and Moscow should think about an asymmetric response, such as the deployment of its tactical nuclear weapons abroad, a senior Russian lawmaker told TASS on Friday (August 24).